I like to call us newish Texans. We've been in the state about two years now after a job transfer. One of the "pros" on our "pro/con list" about the move was that we would be driving distance to a RCI ship now. We typically fly to South Florida, so this would be an all new adventure for us. Us consists of my wife, who proudly proclaims she married me for my diamond status. She and I went on Oasis together for her first cruise and she's been hooked ever since. We even invited 50 friend and relatives onboard Independence with us and got married that week. She's a stay at home Mom, and while being super super frugal, loves to splurge and pamper herself on RCI ships. The oldest is 10 years old. In kindergarten, she was doing rhyming words with her class and she had to draw a picture and write a word of something that rhymes with "car"
She chose "bar" and drew herself sitting at the pool bar of a ship, complete with her seapass card and one of those Island Oasis machines. Our youngest is 5. 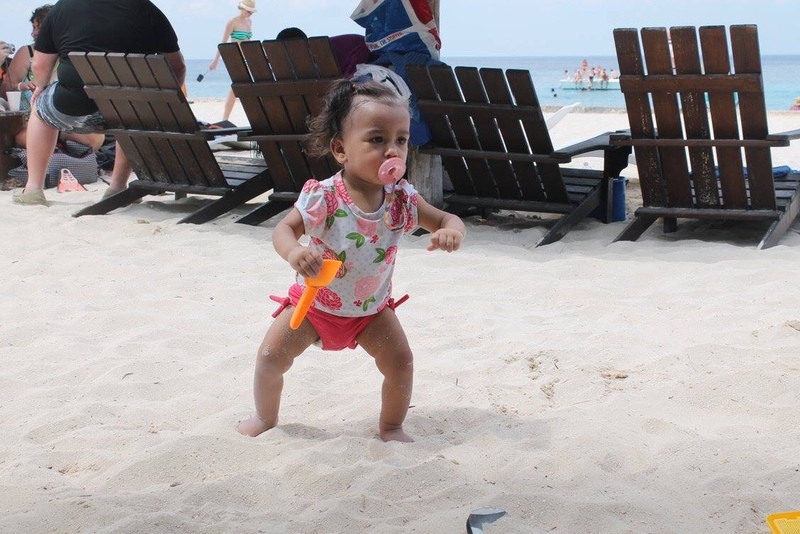 She actually took her first steps on board Serenade. Got on the ship crawling, by day 7 she was a walking machine. She also went to Disney and as we headed out of the park announced, "next time lets just go on a cruise"
We typically sail every spring break. My oldest's birthday, my birthday, and our anniversary all fall the same week of March, we tend to celebrate them all onboard. I have been sailing with RCI since I was a kid, and clearly have passed my love on to my family. We typically sail Oasis class ships. They have so much to offer families, it's always been our choice. Pre-kids I've sailed just about everything else. The only two classes of ships in the fleet I have not sailed are Quantum and Vision. When Vision offered a 7-day on it's first sailing out of Galveston is caught my eye. When that sailing happened to be during my kids Spring Break AND RCI was offering Kids Sail Free. I got out my credit card immediately. The cruise would visit Roatan, Costa Maya, and Cozumel. 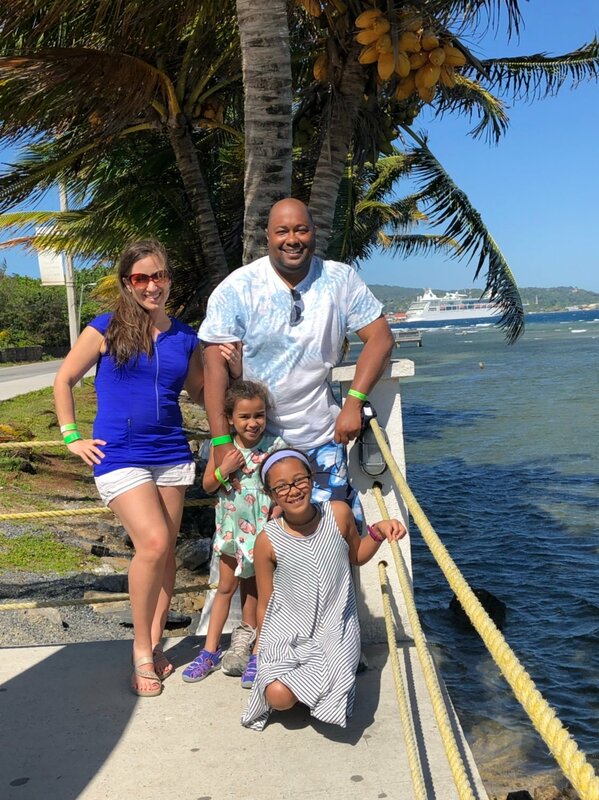 We had never been to Roatan. 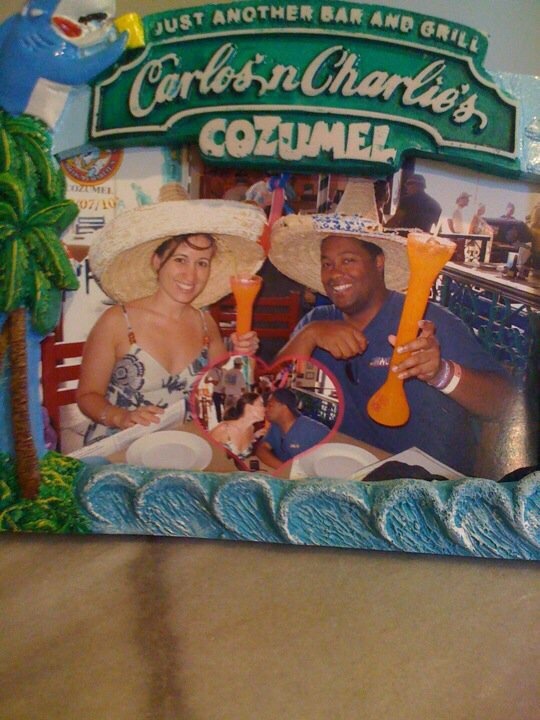 We stopped in Costa Maya, 10 years ago during the Inaugural season of Oasis. Falmouth pier wasn't ready for Oasis yet, so we went to Costa Maya instead. Only problem, the little man made port area was still under construction. There was literally nothing there but the pool and a few shops. So this would be a nice return visit. We were nervous about this cruise. We had some CC friends who sailed vision and absolutely hated it. We looked at the deck plans and yes compared to Oasis class, we were like wow.... there's a single pool up top (that kids can use), and a few bars down below and a rock wall. We have sailed Radiance class --- and were nervous about it, but it was such an awesome cruise. One of our favorites ever. But we cited the crew, they were fantastic and made the cruise so worth it. What's the chance of getting that again? Sure it was a good price, but would the kids be miserable. We usually sail big and new. This is small and older. "This is a different kind of cruise... we will spend lots of relaxing time by the pool." We were going to be lucky to every get in the pool, we thought, there is only one for kids and there will likely be a million kids on board. "Kids, pack books, and kindles, and coloring books!" We're normally not so alarmist, but this one had me concerned. I'm not a big drinker at all. 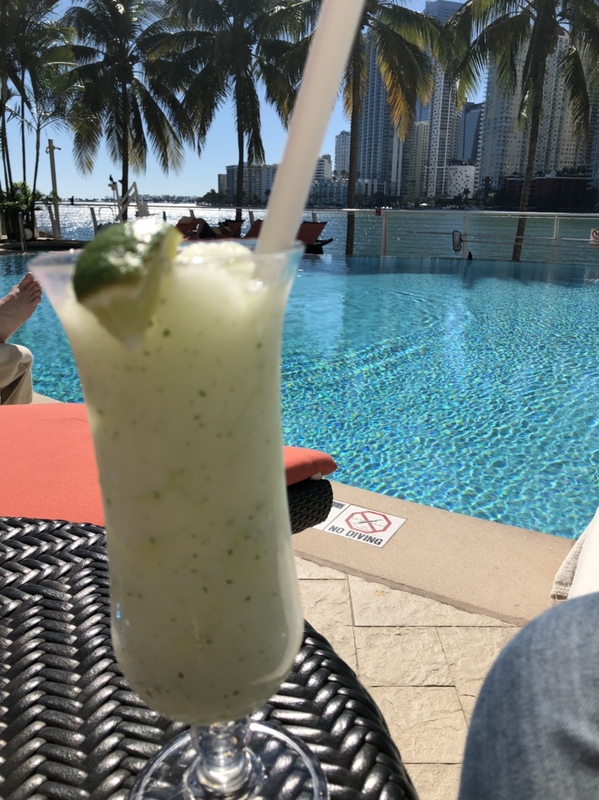 I love frozen mojitos, and that's about it. I usually skip wine at dinner, am not a beer person, enjoy a cocktail here and there but not often. Every year we buy the drink package, and every year yours truly goes 3-4 days on the ship without ordering a single drink. But with the down time I told my wife, we're getting it again. We'll be sitting by the pool, drinking lots of mojitos. So a few days prior to sailing I went online to buy the drink package. 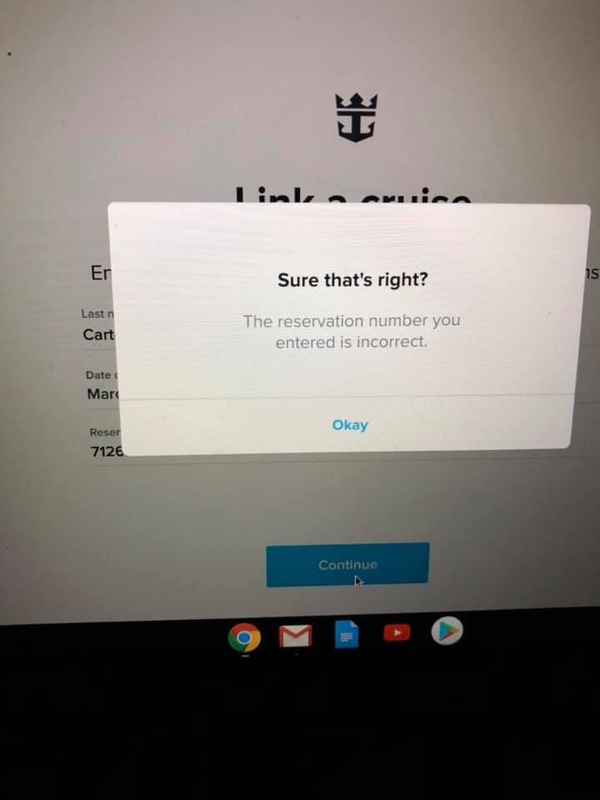 I log into our account only to get an error message that.... we have no cruise. Now I'm a huge RCI fan, but lets be honest, their IT dept has been known for a hiccup or two. So, I don't worry. I had just talked to RCI a day earlier. I called in to officially create a C&A number for my youngest. Even though she's been on several cruises. I just never bothered to create her own account. Agent added her to our reservation, so I know it's there. I paid in full 4 months ago. Called my TA the next day and asked her to check. 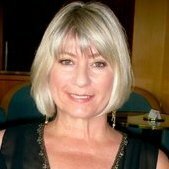 Now this woman is older, she was my Mom's travel agent. I've known her FOREVER, and she's booked all 20+ cruises we've taken. Never have I heard her panic and swear and say, "I'll call you back" so fast. Yep I had no cruise. When I called in to add my daughter's C& A number... the agent accessed my reservation. So did my travel agent, as I called her later to give her my youngest new C&A number. Apparently, even though I had bought and paid in full for the trip months earlier one of them somehow, "repriced my reservation"
Basically they changed the rate to current prices. The cruise cost more at then point then when I paid. So that night, the computer saw a balance due and saw we were now past our final payment date and it cancelled our reservation entirely. 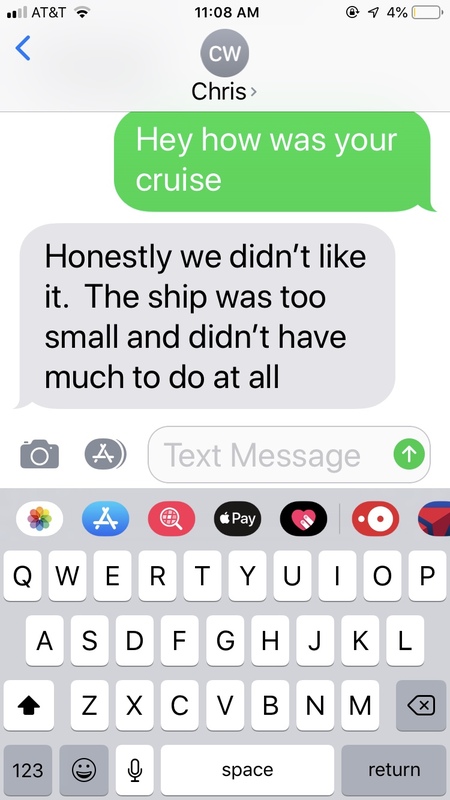 By the time my TA called in, RCI told her, "Sorry that room has been offered to someone else, the ship is sold out, there's no more cabins for them"
RCI wanted to put us on another ship, but it wasn't driving distance, and we would have to fly ourselves there. After a ton of back and forth and the TA blaming RCI, and RCI blaming the TA and I refusing to spend 3K on last minute airfare to South Florida Spring Break week, I finally got a call that somehow they got our room back and we were good to go on Vision. This non drinking man, had a drink during this process for sure. Yeah this cruise has been one that we were super nervous about, and didn't have high expectations. But finally it's here and so we're ready to hop in the car, not a plane, and head to the ship. Up Next..... Day 0 Galveston! Wow, what a way to start a cruise, and review. Looking forward to hearing about your trip. We too went on Vision with our then 19 year old, we went through the same discussion about activities beforehand. While we all had a great time, he definitely preferred the bigger ships. but I'm old too!! LOL. Great start to review but what a scare! Wow! What a crazy pre-cruise whirl wind!! I can't wait to hear how the cruise turned out. Seriously, after reading post 1 I want a drink to continue this thread! Fingers crossed I see that was the last stressor! So glad you got on the ship! Looking forward to your review. 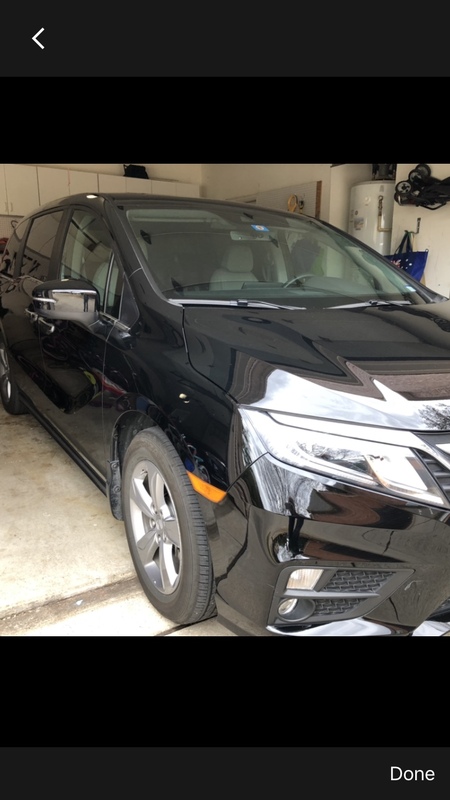 Us North Texans hopped in our minivan, and headed South from Dallas to Houston/Galveston. A few months after my job relocated us to Dallas/Fort Worth, my brother-in-law was relocated to Houston. 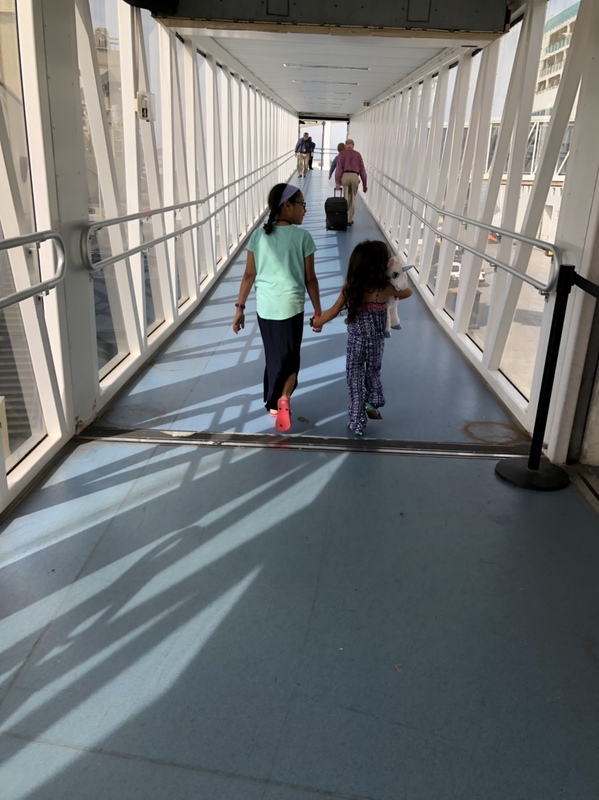 After years of us being on the East Coast and them ,the West, my wife and her sister are so excited to be in the same state. Even though we have to keep reminding them its a very very big state. We were planning to stay with them for the night -- and then head to the ship but they're in the middle of a home remodel. They're all sharing one bathroom right now. So we stopped and hung out in their backyard by the pool, for a bit before checking into our hotel in downtown Galveston. 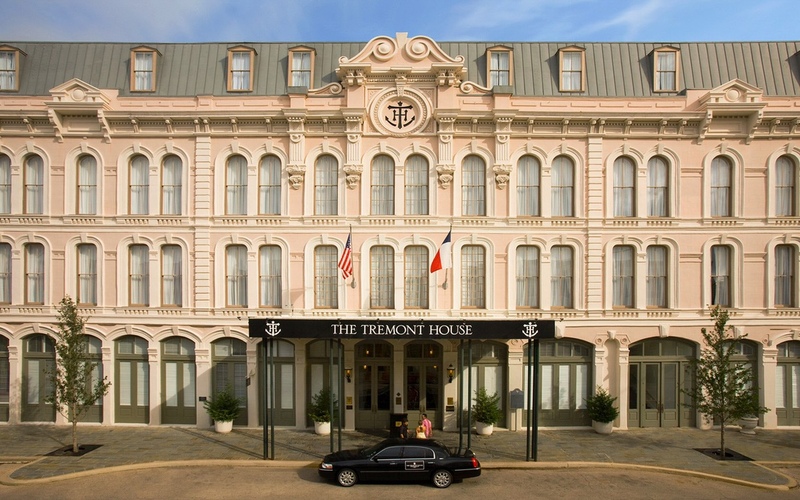 We chose the Tremont House Hotel. It's an old historic hotel totally renovated and is now a Grand Wyndham property. This hotel offers free parking for the week with your one night stay. When I made reservations I was told, "You'll park at our sister property then we shuttle you to the ship." I looked up their sister property, that was adjacent to the hotel, and that seemed easy enough. When we arrived I learned that's not the sister property they were talking about. Instead it was another property on the other side of Galveston Island. The ship was 2 blocks away --- the other property was about 10-15 blocks. It wasn't far, but I was all proud of myself for finding a hotel right across the street from the ship, with free parking. I was annoyed I would have to drive further away to get on the ship. I offered the valet cash to just bring my car to the other hotel for us, and we just uber the 2 blocks to the vision.... but none would take me up on it. it was pretty painless. We pulled up in front the hotel Galvez, their were valet attendants waiting they unloaded all our gear and put it in the shuttle and we were off. I paid a lot of tips, but less than what I had offered for the other valets to drive it over. I think next time we may just stay here to begin with. We used the new Royal Caribbean app and pre-filled out everything. Apparently, when our reservation was cancelled so was everything I filled out ahead of time. We were pulled from the check-in line and pointed to a table in the corner. "The agent will help you, just fill out some new forms"
We got there, and there was no agent, just a table filled with different forms. The wife and I divided up every form we saw on the table, hurried through them and got back in line. We were approved this time --- and sent to the counter where there was so more issues finding reservation. Everyone kept apologizing saying it was their first day. Vision had been sailing out of New Orleans. This was the first sailing from Texas and apparently they hired new staff for check-in. It wasn't the same people who check in passengers on Liberty normally. The ship had spent the past day and a half at sea.... empty. They had dropped off passengers in New Orleans Saturday morning and remained empty until they got to us on Monday. I assumed our rooms would be ready upon arrival as they had a day and a half to do what they normally do in 2 hours. But no --- the rooms were all closed off. Around 11am they announced all rooms were ready except deck 8. Guess where we were --- deck 8. It came online a little later and we headed off to see our room. Now we had been warned the cabins on Vision were smaller than on other ships. 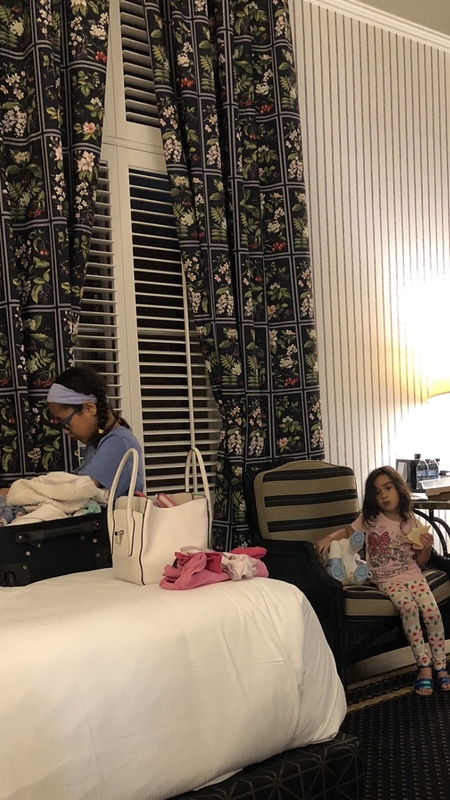 We were nervous as we walked into our Junior Suite but boy were we pleasantly surprised. There was plenty of room and the cabin was in great shape. Clean, carpet looked new. Bathroom looked like it had received a recent refresh, it was spotless with plenty of space for the four of us! We went out on our balcony, checked out the murky Texas water, only to hear my youngest scream "A dolphin"
Thinking it was her imagination I did the sarcastic parental Wow!!! then looked down and sure enough there was this dolphin jumping out of the water --- making noises, just putting on a show! 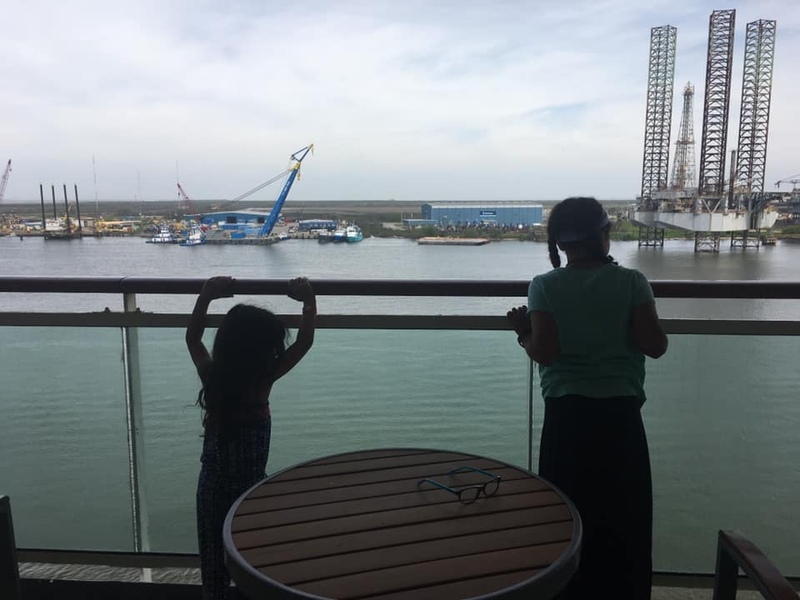 My girls have searched for dolphins and whales from a mini cruise ship balconies over the years.... this time one just hung out, outside our cabin putting on a show. I had a good feeling about this cruise! Up Next --- Off to explore the ship! What a beautiful family! Glad to hear things are going so well now that you're finally onboard. Bon Voyage & enjoy your week! 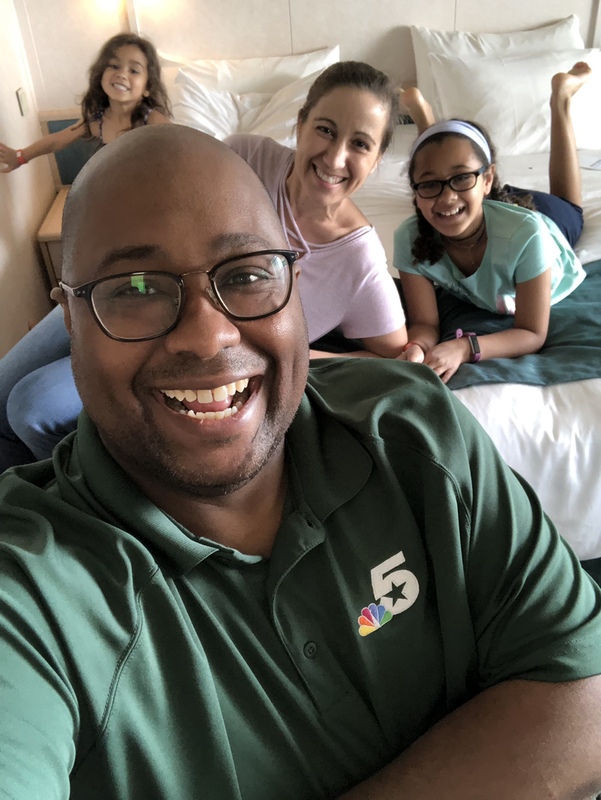 Great family pic in your stateroom! 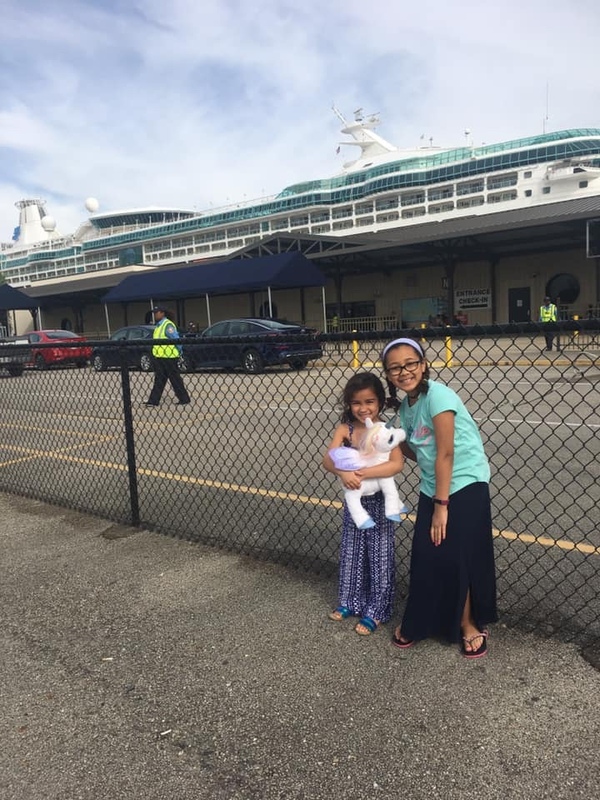 Love, love, love the stories about your girls and their cruises! 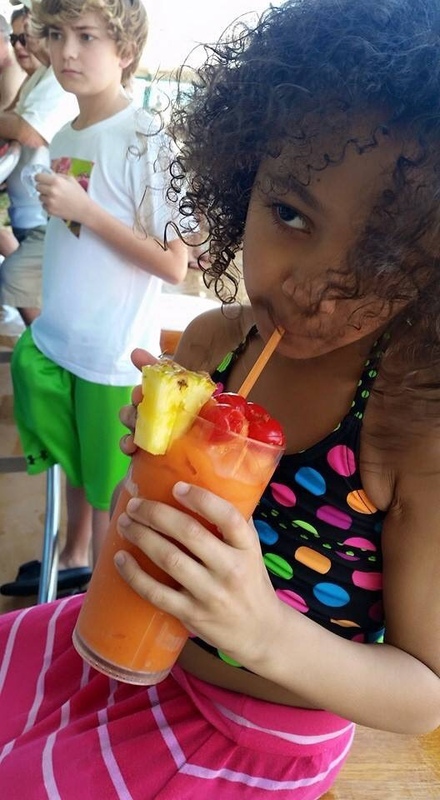 What a wise young lady who already knows cruising is better than Disney. 😁 Enjoy your trip! Oh no - I would have felt the whole trip still ominous when you heard the cabin announcement - I hope by the end of the trip you were laughing at all the mishaps! I was super excited to see that you are writing this review. I was thinking to myself this is the only other person on my roll call for the Enchantment of the Seas in Oct and sure enough it was you.. I was like Oh Yeah i am definitely reading this!!! So far its been great! Looking forward to your review. 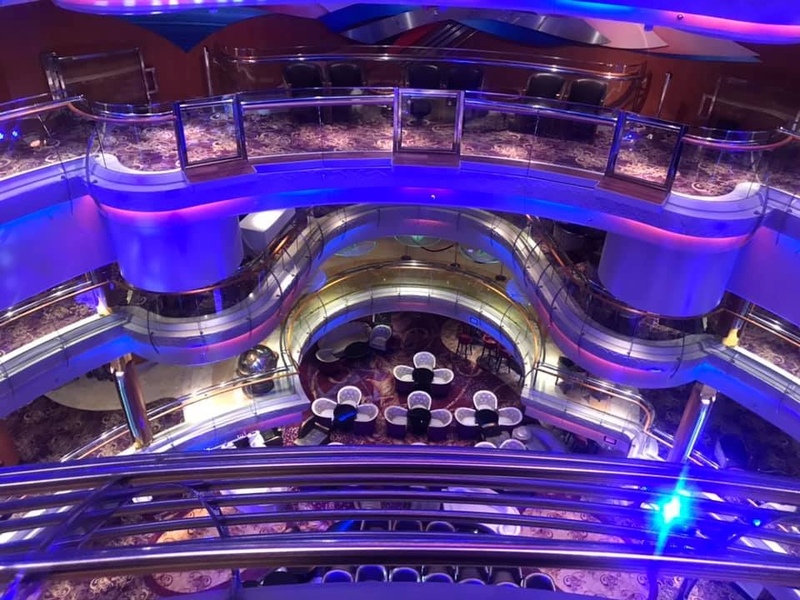 We’re sailing on Vision soon so anxious to hear your experiences. PS you have such a beautiful family! And then you found out it has 2 pools not just one....yay. We love Vision too and have sailed all classes. Vision is small and intimate. And you can do cheap Grand Suites. We are booked for a B2B April 10 and 15. We were on board with you. I remember your girls from the Meet and Mingle. 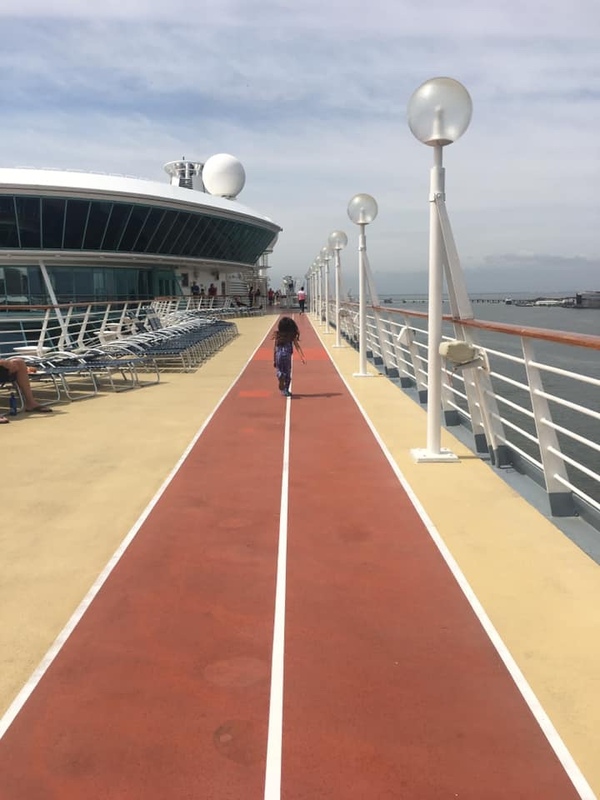 I look forward to hearing what you thought about this cruise, We went without our kids for this cruise, but are booked on Liberty next spring break with our kids. We talked to some other parents on Vision that were not impressed with the times Adventure Oceans were open. Looking forward to your other posts. Following along! Kind of in your same boat. We did symphony this March and have Vision out of Puerto Rico booked next March due to its awesome itinerary. Worst part is the balcony cabins are currently selling for higher than what we paid for a balcony on Symphony! Great review so far. What an adorable family you have. What stress with your cruise being cancelled but glad to hear it all worked out. Looking forward to reading more, especially how you like Vision compared with the larger classes.